Hey there! 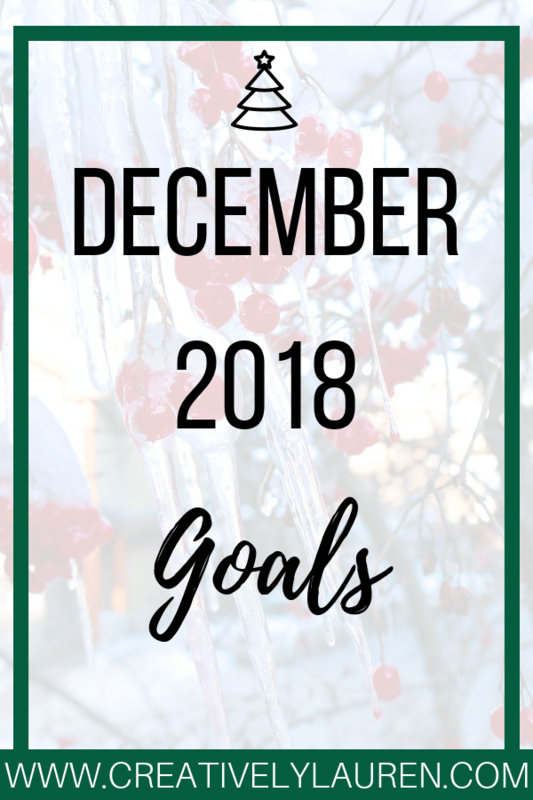 Today I want to share with you my goals for the last month of 2018! The holiday season is ramping up and I want to make sure that I have my priorities straight with this last month of the year. I know January is the time when you start to make goals for yourself, but I wanted to try to end the year on a good note, so I decided to make goals for December! I know January is when you start making goals for yourself, but I wanted to make sure that I didn’t get caught up in the busy pace of the holiday season. This year has flown by so fast. I can’t believe it’s already December. I want to make sure that I slow down and enjoy this time of year. The holiday season is my favorite time of year, so I want to make sure that I enjoy it. My job isn’t always the easiest, especially during the holiday season. It’s easy to get stressed and to be in a negative mood. I want to make sure that I am staying positive with the holiday season. Like I mentioned, the holidays are my favorite time of the year. I want to make sure that I get to enjoy the season. I know I will be working on Christmas day, but that doesn’t mean I can’t enjoy the time I do have off and make the most of it. I want to make sure I end the year on a high note and use this time to prepare for next year. I want to make goals for myself, as well as my blog, before the beginning of next year. Are you making any December goals? Let me know in the comments! Enjoy every moment you can! You may have little time, but make it count. I started a new planner program and it’s very simple. Started in Nov and feel much more in control and less of my anxiety and stress attacks. You have your goals established, go get em!